Dubai, United Arab Emirates – October 10, 2018 – Avaya Holdings Corp. (NYSE:AVYA), today announced it will demonstrate the first social platform for chatbots at GITEX Technology Week 2018, ushering in a giant leap forward in customer self-service. Drawing parallels from traditional social media, Avaya's latest innovation provides a structured platform for bots to engage each other in a secure and controlled manner with the intent of extending the expertise and effectiveness of each individual chatbot. A 2018 global Avaya survey of 8,000 consumers, found that 80% of people expect an immediate response from their banks, hospitals, hotels & even their governments, highlighting the need for efficient and ‘always-on’ customer service. “With automation, organizations can overcome their human resource limitations and meet these customer expectations by delivering seamless, intuitive and intelligent experiences across all touch points. Bots are rapidly becoming one of the most powerful means to positively impact customer service, second only to face-to-face interaction,” said Laurent Philonenko, Senior Vice President, Innovation at Avaya. While acknowledging the growing customer acceptance, a key shortcoming of enterprise chatbots is that they are domain-specific and can respond only to a relatively narrow set of dialogues. This has limited their ability to fully and efficiently service customers’ requests when they face questions they haven’t been trained to answer. “But what if we could enable chatbots from different domains and industries to collaborate and exchange information via a highly regulated platform, and find answers from other chatbots, not just humans? We could, in effect, securely link enterprises, significantly expanding the efficacy and expertise of any single bot thereby enabling organizations to deliver an exceptional level of customer service, reducing the need for human intervention and enabling deeper self-service, as well as reducing the need for supervised learning,” added Ahmed Helmy, Solutions Architects Director, Avaya EMEA & APAC. GITEX delegates will witness first-hand how Avaya’s platform would allow any enterprise to register its chatbot with a unique social profile and 'friend' other member bots from different domains and industries. This social platform demonstration will also allow chatbots to rate each other, and store confidence metrics based on the quality of information received, and feedback from end customers, leading to constant improvements in each bot’s quality and speed of customer service. 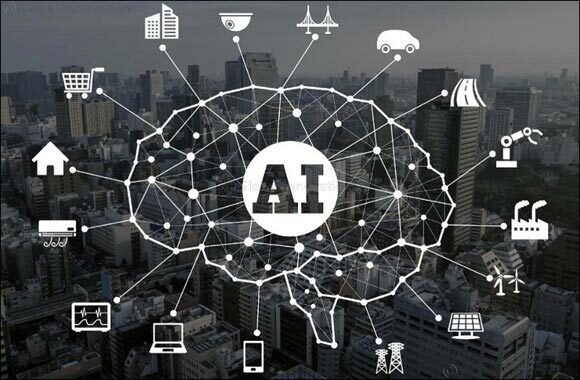 Avaya is incorporating this groundbreaking, patent pending capability in its Avaya Ava™ smart self-service platform, which already provides a chatbot and messaging framework associated to natural language processing and machine learning. This technology demonstration from Avaya continues its long tradition of leadership in customer experience and disruptive innovation. GITEX visitors can see this and other ideas in action at Avaya’s stand Z1-C10 in the Zabeel Hall of the Dubai World Trade Centre, from 14 to 18 October.